In the caption below the photo, Soleimany warned Trump against confrontation with Iran, noting that the latter is prepared for it. 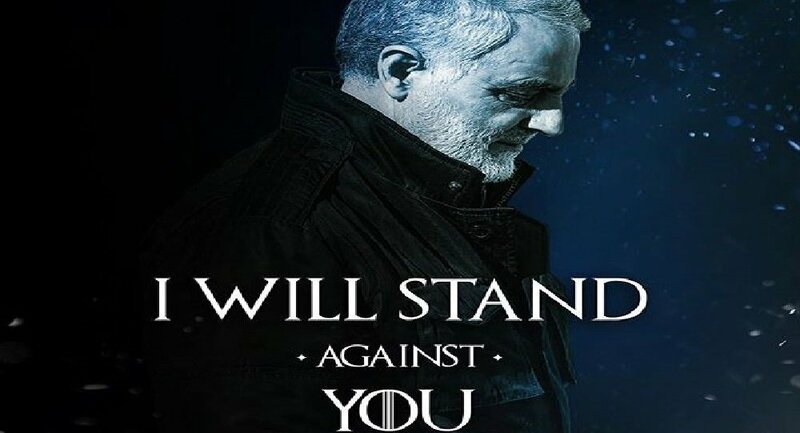 A day earlier, Trump posted a meme on his Twitter account with a caption stylized after the iconic phrase from the TV series Game of Thrones- "Sanctions are coming November 5." The use of the style of the series' promotional posters for a political message was not met warmly by its creators, HBO, which requested that the show not be used in politics. The emerging "meme war" caught social media users' attention. Many of them actually praised this development in the US-Iran confrontation. Some noted that a meme exchange is better than a missile exchange. Others started cracking jokes about the famous show getting another season, despite previous announcements that the eighth would be the last. Several Twitterians wrote that the recent events finally convinced them to watch the show. However, not everyone was happy political and military figures of the two states resorting to "meme wars," noting that real human lives are at stake. The exchange on social media between Tehran and Washington comes just days ahead of the US reintroduction of sanctions against Iran. On November 5, all sanctions against Iran's energy, banking, and shipping sectors of the economy, which were previously lifted under the JCPOA, or Iran nuclear deal, will again take effect.